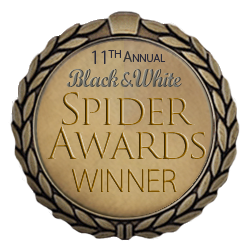 LOS ANGELES 10/05/2016 - Amateur photographer Tim Mulcahy of the United States was presented with the 11th Annual Black and White Spider Awards Third Place Honor of Distinction Award in the category of Architecture at a prestigious Nomination & Winners PhotoShow webcast Saturday, November 5, 2016. The live online gala was attended by over 10,500 photography fans around the globe who logged on to watch the climax of the industry's most important event for black and white photography. 11th Annual Jury members included captains of the industry from National Geographic, Washington DC; The Armory Show, New York; TBWA, Paris; Victoria Film Festival, Canada; Aeroplastics Contemporary, Brussels; Studio Hansa, London; Fratelli Alinari, Florence; Australian Centre for Photography; Young & Rubicam, Lima; and Anthem Worldwide/Marque Branding, Sydney who honored Spider Fellows with 627 coveted title awards in 31 categories. "It is an incredible achievement to be selected among the best from the 7,556 entries we received this year," said Basil O'Brien, the awards Creative Director. "Tim Mulcahy's "Surveillance," an exceptional image entered in the Architecture category, represents black and white photography at its finest, and we're pleased to present him with the title of Third Place Honor of Distinction." Jury member Paola Anselmi, interdisciplinary curator and arts writer in Australia added, "As always it was a real treat to be part of the program. Congratulations to all involved and to all the remarkable photographers who gift us new insights into the world and ourselves." "A truly amazing set of entries, so many deserving winners," added Marcel Wijnen, Creative Director at Anthem Worldwide. Tim Mulcahy was also awarded Honorable Mention recognition in the Architecture category for his image "Curvaceous". 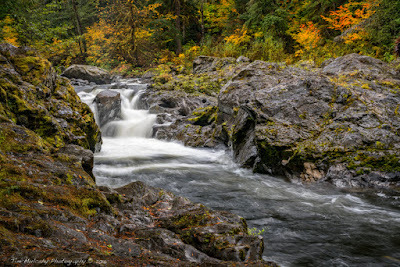 In the autumn of each year millions of salmon, driven by unquenchable instinct and guided by a mysteriously accurate homing mechanism, return to the stream of their own birth in order to spawn. Thousands and thousands home in on Washington's Olympic Peninsula, many seeking spawning sites miles inland in the headwaters of the Sol Duc River running through the heart of Olympic National Park. 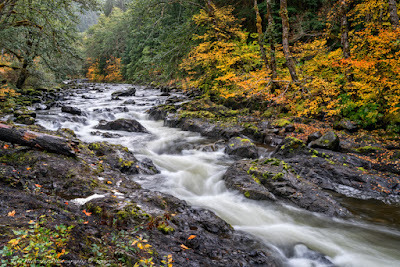 The Accessibility of the Sol Duc River provides a unique opportunity for park visitors to experience some of the strenuous challenges encountered by the fish during their epic annual migration. At the beginning of the ambitious trek the rocky earth pitches gently upward and the going is relatively easy. The water is swift but deep. Rocks and rocky ledges provide respite for tired muscles readying themselves for the more vigorous path upstream. Upstream is now progressively uphill. The water is skinny and rushes past rocks jutting above the surface, looking like the peaks of the Olympic Range breaking through the low cloud cover overhead. The going is progressively strenuous with fewer and fewer resting places available to recharge tired and aching muscles. Yet the urge to reach the final destination burns even stronger than the lactic acid accumulating in every muscle bundle. 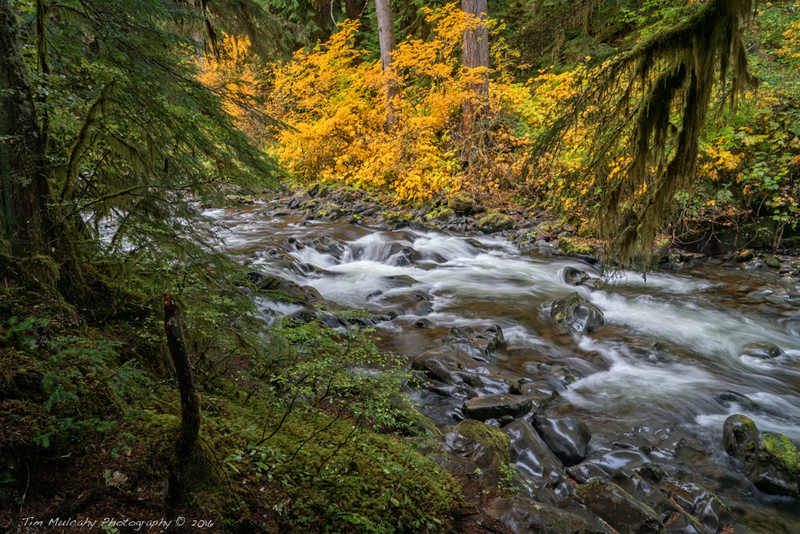 The next major hurdles – the Sol Duc Cascades - come all too soon. 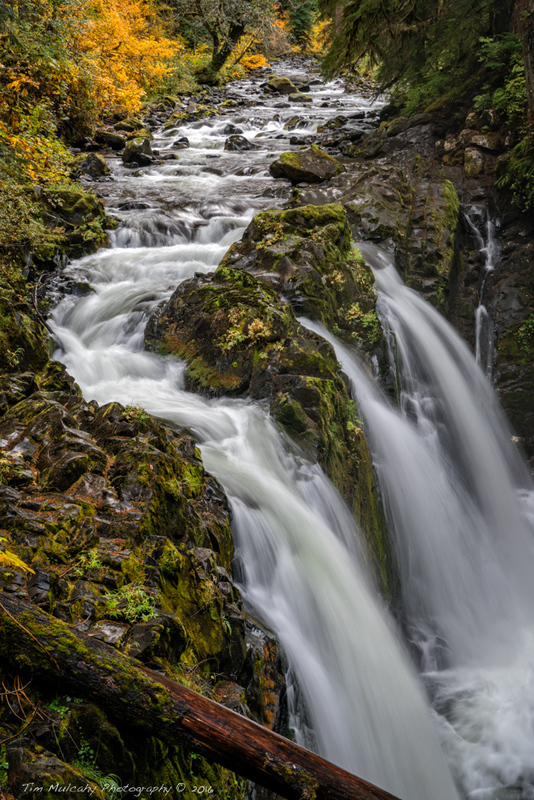 Progress upstream now requires battling a series of abrupt elevation changes over rocky ledges and around boulders surrounded by the swiftest water yet. Precarious refuge can be found among the rocks but the successful climb requires continuous forward progress. Heart rate and other physiological measures of strenuous exertion are on the rise. The conquest of the cascades leaves little time for rest or celebration. Continued progress upstream is long and strenuous. The rocks are more and more frequent and the water more and more rapid. The drive to arrive at the ultimate destination is still strong but now the physical toll becomes a growing deterrent of significant consequence. Further ahead the once flat river channel is now a steep gorge. Rocky, fern-covered walls tower above the raging river below. The going is harder and harder as the climb to the final destination continues, becoming more vertical at every turn. With energy nearly spent and the drive to continue waning, the sound of the pounding falls just ahead re-ignites enthusiasm – as well as optimism that the journey will end soon and successfully. Just a little further! It’s doable! Finally! 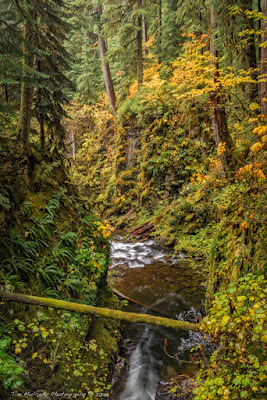 The end is in sight - the powerful, the impassable Sol Duc Falls. One cannot go any further. For the first time since the beginning of this strenuous trek it is possible to stop to refresh the body - as well as the soul. The rapid pulse of exertion is replaced by the increased heart beat of exhilaration. A sense of accomplishment sets in. So ends the description of my strenuous ascent to the Falls along the rocks and trails of the Sol Duc River. I can't imagine what the salmon must endure getting here fighting their way through the turbulent water. 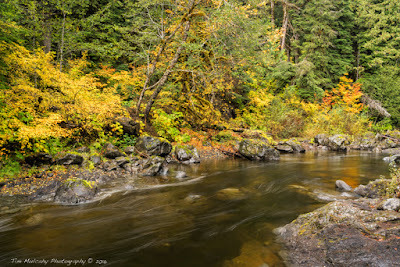 Salmon seek this spot to spawn, to renew their species. I sought this spot to renew my spirit. As I stood on the bridge overlooking the falls - trying to catch my breath - I was one with the salmon.